20 cm 217 p. : ill. Reprint. Originally published: New York: Amulet; London: Puffin, 2010. Dive into Jeff Kinney's fifth instalment of his rib-tickling and bestselling Diary of a Wimpy Kid series!I'm in the market for a new best friend. The problem is, I invested all my time in Rowley, and I don't have anyone lined up to take his place. Greg Heffley has always been in a hurry to grow up. But is getting older really all it's cracked up to be?Suddenly Greg is dealing with the pressures of boy-girl parties, increased responsibilities, and even the awkward changes that come with getting older. 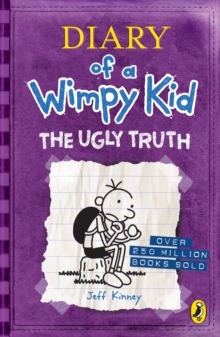 And after a fight with his best friend Rowley, it looks like Greg is going to have to face the "ugly truth" all by himself . . . Filled with brilliantly funny cartoons, 7+ readers (including reluctant readers) will devour Jeff Kinney's award-winning books.